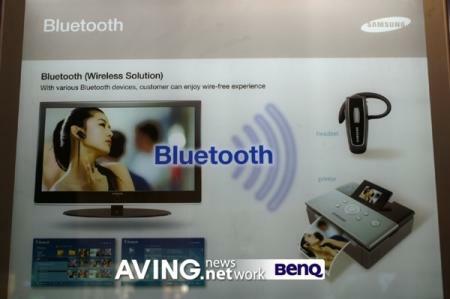 Not content with announcing a HDTV with built-in WiFi, Samsung have given fans of wirelessly-controlled TVs another option by hooking up Bluetooth to their HDTVs through a technology they call WiseLink. With WiseLink, you can listen to the TV through your Bluetooth headset (though why you’d want to, it doesn’t say! ), and more impressively, print off any pictures being displayed on the TV through a Bluetooth link with a suitably-equipped printer. Now this last feature is genuinely useful. Printing digital pics is always the last thing people do, yet viewing them on a PC or laptop is just not the same. It’s not such a shared experience as viewing actual prints, and offers none of the clarity (depending on your camera’s pixel count and image quality, obviously). Many people these days choose to view their pics on their TV, with most digital cameras (and even many cameraphones) coming equipeed with connctors to plug into the TV so you can view the pics stored in your camera’s memory. But this, too, is far from perfect, as you’re reliant on the pics stored in your camera. Unless you’ve got your TV hooked up to your PC, it’s a pain trying to view pics that aren’t on your camera – and you still haven’t printed any out! 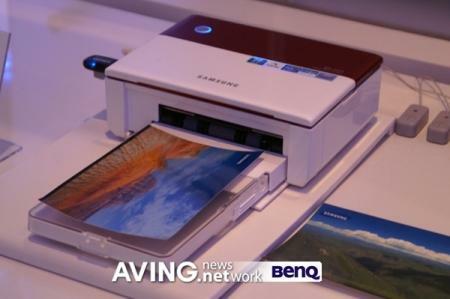 Now with Samsung’s WiseLink, you can view your pics easily (presumably from your PC over Bluetooth), and send those that are any good to your printer over the Bluetooth connection for instant prints of the pics you like. Genius! 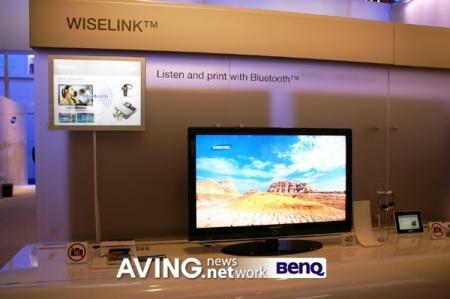 Announced at CES 2007, expect to see Samsung WiseLink TVs, printers and other gadgets released in the coming months.